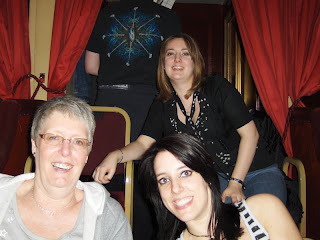 Thanks to the wonderful Sophie at the Teenage Cancer Trust, I was able to attend Muse's gig at the Royal Albert Hall on the 12th April 2008. Mum, Nic, Dan and David joined me to celebrate my birthday in the best way I could! We had Box number 52 which had a brilliant view of the stage. I had to zoom in though to get pictures of the performance. 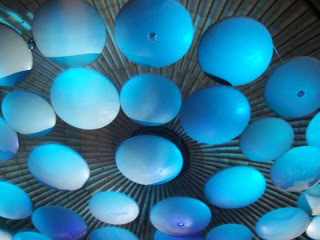 The acoustics at the Royal Albert Hall are amazing. These special mushrooms which hang from the ceiling ensure that you get an amazing sound no matter where you are in the hall. Also we all noticed that despite the loudness of the whole event, no ones ears were ringing when we left. 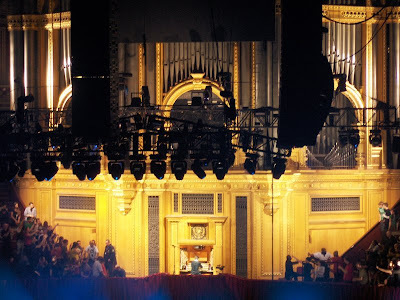 The best part of the gig for me was the penultimate song where Matt exclaimed 'I couldn't come here and not play this beast' as he climbed into the seat in front of the massive organ that makes the Royal Albert Hall such a majestic venue. 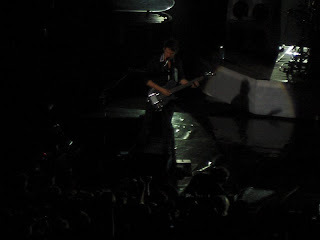 This was the 9th time I have seen Muse live and I have to say it was the best of all of them! And it was all in aid of a brilliant cause!